How do I set projected sales? 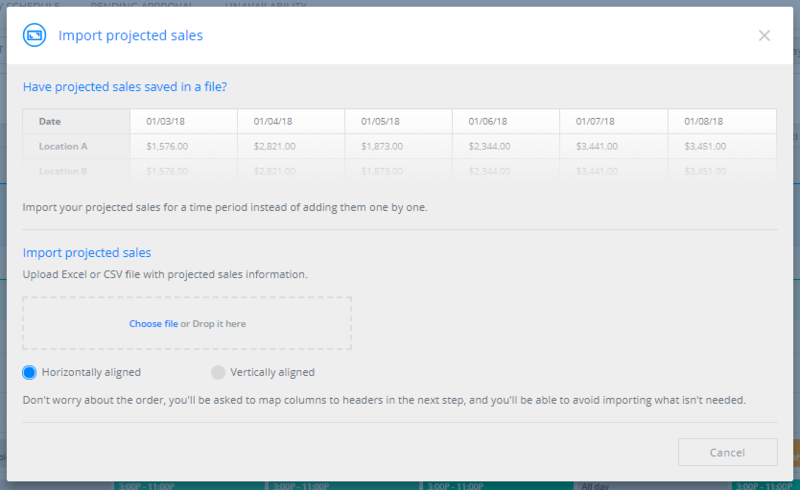 You can set projected sales either from the Location details window or from the calendar itself. Entering the info in the location details window sets your defaults which will populate your sales values on the Shifts page. Editing these values from the calendar is more accurate and your values can be adjusted easily at the end of each business day. We also have added the ability to upload your sales figures from the Shifts page. To set up projected sales from the Location details, go to Labor Cost > Locations. Select a location and click the Budget tab in the details window. From here you can input your projected sales defaults for each day of the week. To adjust projected sales from the calendar itself, go to the Shifts tab and sort the calendar by location. For each of the locations that you manage, you'll see Projected sales line in the summaries below. Hover your mouse over the dollar amounts and you will see the pencil appear so you can click to edit them day-by-day. To upload sales figures from an existing file, go to the Shifts page and click the options button at the top right. A window will pop up where you can add your file and designate whether the data is aligned horizontally or vertically. The next screen will allow you to label the rows and select which columns of data to import. This screen also allows you to choose the format of the date so the data is imported properly. 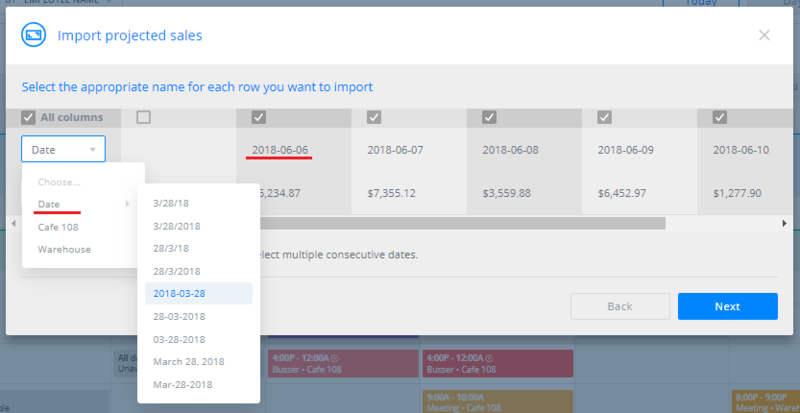 Click "Next" and confirm the data looks correct, then click "Import sales" and your sales figures will be added to the calendar.